General Appearance: Lively and dainty, with a profuse coat, stylish in movement, lifting the feet high. Size, Proportion, and Substance: In showing, Chin are sometimes divided into two classes, under 7 lbs. and over 7 lbs. 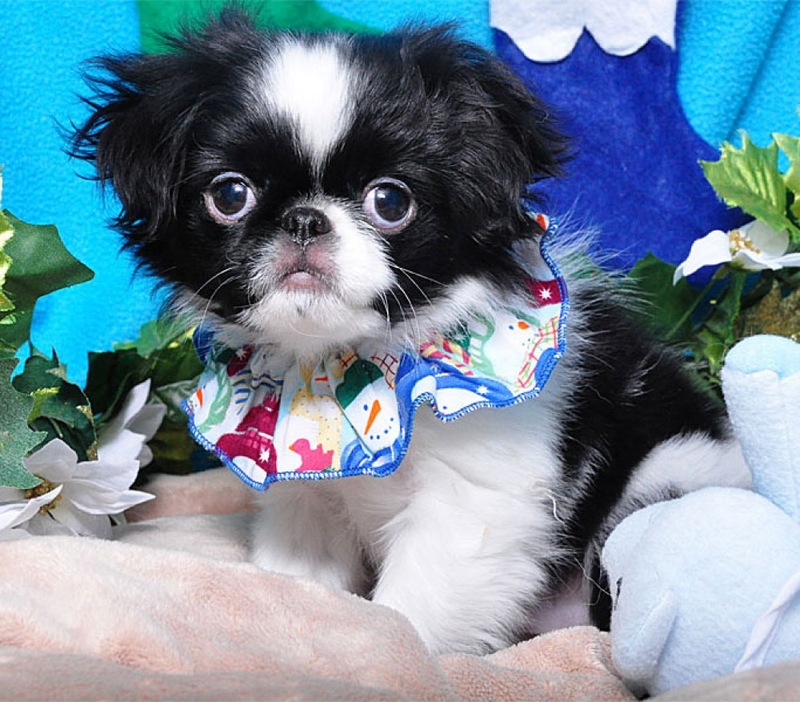 Background: An elegant toy, the Japanese Chin has a fun-loving disposition. Eager to please, the Japanese Chin is very trainable and enjoys showing off his repertoire of tricks. With enough love for the whole family, the Japanese Chin is also content with a single owner to dote on. His long coat should be brushed twice weekly.